A sweet story with very descriptive images of the farmlands and town Ellie experiences. Because of hard times, young Ellie must stay with her grandmother while her traveling salesman father looks for work. It doesn't take long for Ellie to figure out that her stern and very proper grandmother doesn't want her around. She tries to find ways to make friends in her new farmland surroundings and find some way to win her grandmother's approval, one tiny bit at a time. Although Grandma Acklebee is very stern, and shows no signs of affection for Ellie, there are moments in the book that show Ellie, and the readers, that deep inside she does care for not only Ellie but the people in the community as well. One girl Ellie's age sneaks into someone's pickup truck and nearly breaks her leg when the truck starts rolling down a slope. Ellie saves her, but then the girl lies that Ellie was the one who told her to sneak into the truck in the first place. Ellie is well-behaved and does her best to be polite and listen to everything her dad and uncle tell her to do. People go to church, and every night Ellie prays for God to take care of the people she loves. Ellie's uncle has an ugly scar due to a barn fire that occurred years ago. As mentioned above, a girl nearly breaks her leg. This book was so vivid that I could picture and really dive into Ellie's world. 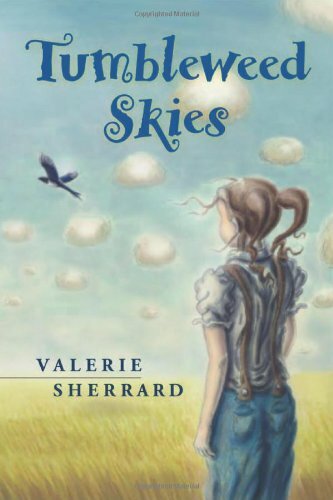 The young girl's heart is clean and so earnest that feeling what Ellie feels throughout the story is easy. It's also a story about family and forgiveness, as the conclusion of the book suggests.